From start to (Almost) finished. 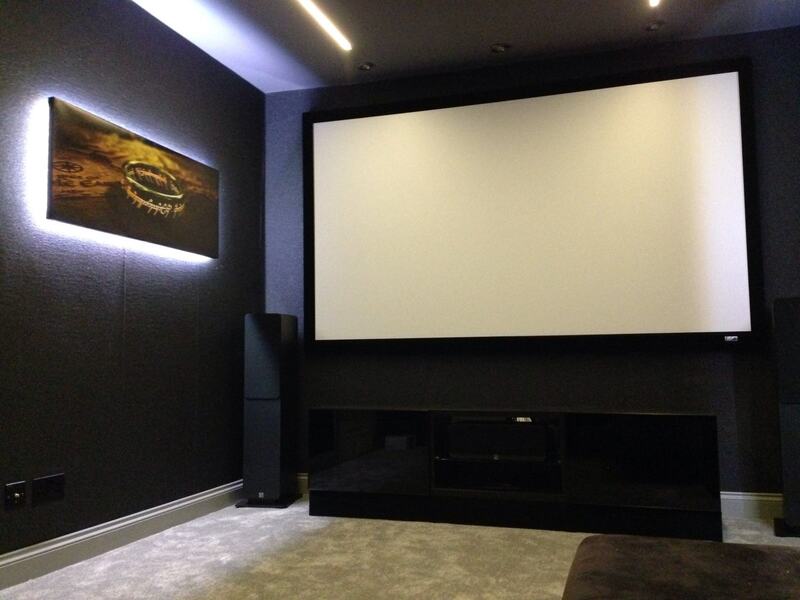 My Dolby Atmos/DTS-X cinema room upgrade! > Discussions > Hardware Showcase > From start to (Almost) finished. 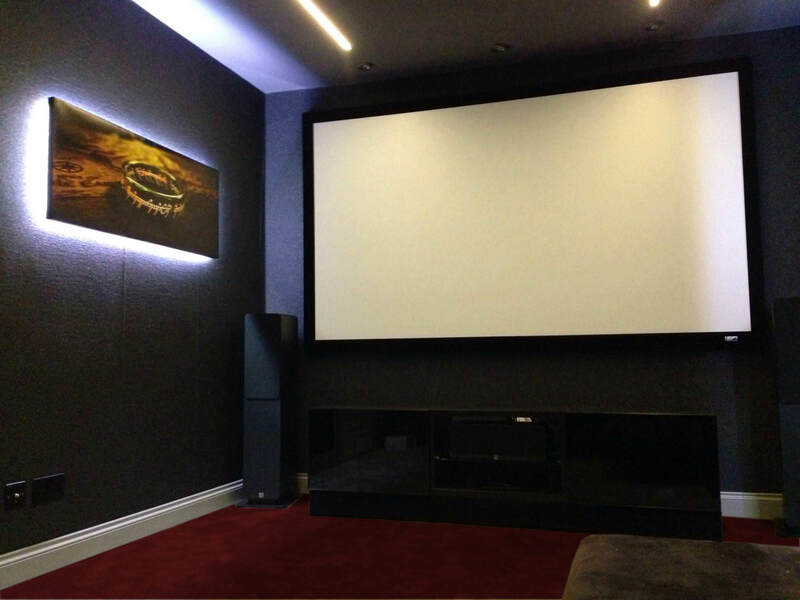 My Dolby Atmos/DTS-X cinema room upgrade! Quite a few pictures of the various stages in the full album. Being a sparky, I was able to do almost everything myself. I just left the plastering, plumbing, and carpet fitting to others. I'm really pleased with how it's turned out so far. Still a few finishing touches to do, but it's mostly there. So... When will the new house-warming party be? I have the Sony HW55ES. It's no longer available, but the lower spec HW45ES seems to be easily obtained. There's also the very similar HW65ES if you can find it. The main differences seem to be that the HW45ES has no automatic iris to reduce light output. The HW55ES has an automatic iris, but uses IR trigger for 3D glasses. The HW65ES has an automatic iris and uses RF trigger for 3D glasses. It also has a slightly longer lamp life, and higher price. Greys are the IN thing at the moment in the UK. That red carpet was from the late 90's I think. I'm sure red will have it's day again. I'll save that picture to remind me when it's time comes! Love the lighting as well. 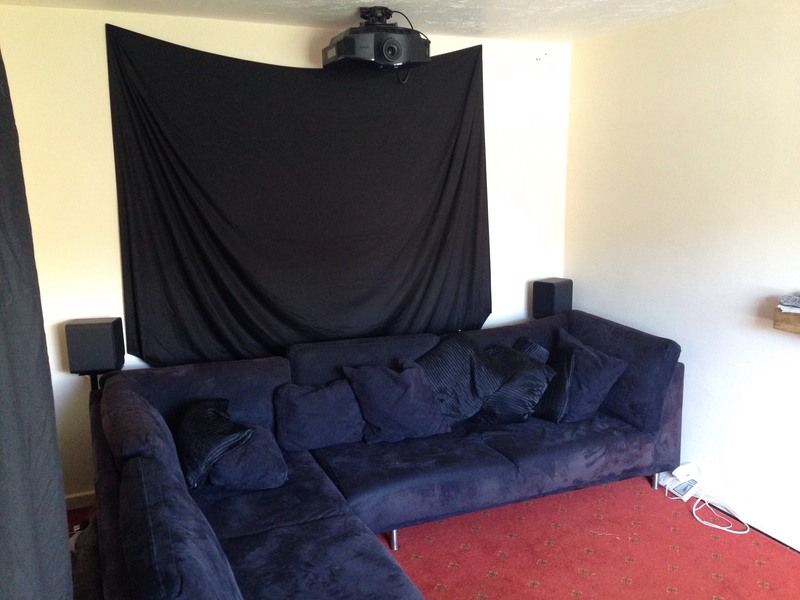 Hows the projector noise above your head though? That projector is really quiet if you keep the filter clean. I have the lamp on low setting so the fan stays on low too. You can hear it during REALLY quiet bits of films, but you don't notice it if you aren't listening for it.